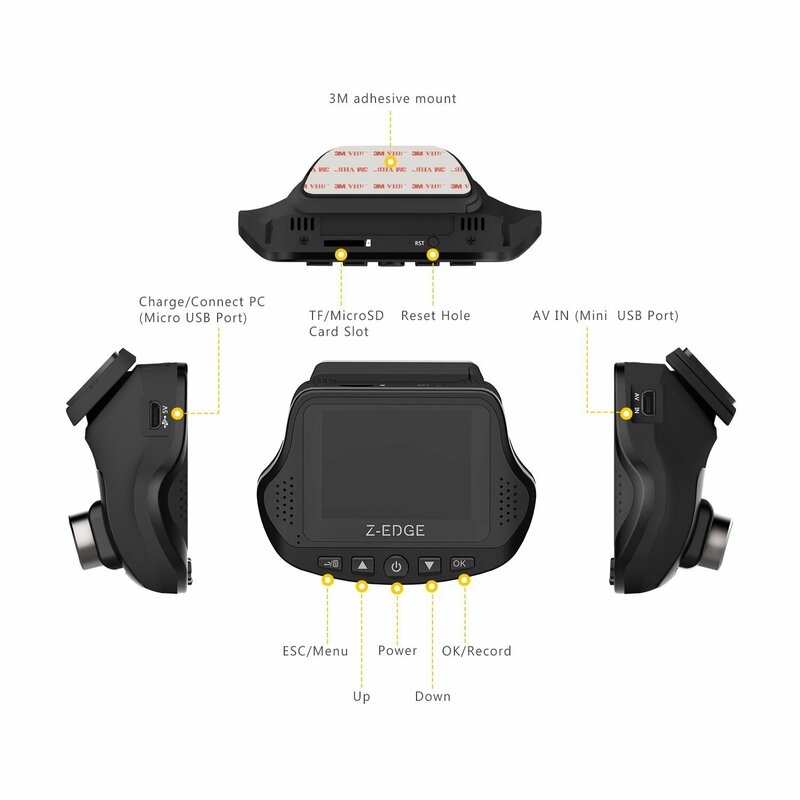 Z-Edge is one of the lesser known dash cam brands on the market at the moment, so we were definitely intrigued when we got the chance to test out their dual dash cam. The issues that we had with this device were very minor. We were actually incredibly impressed with this dash cam, especially in terms of recording quality. Please read on below for a more in-depth look. Very generous wide angle lens. The design isn’t very discreet. The software isn’t very user friendly. The rear camera cable is too long. When we first saw the design of this dash cam, we have to admit that we weren’t really sure if we liked it or not. It is a little different in terms of shape and style, so we were worried that it might obstruct our view when it was installed but this wasn’t the case, fortunately. One thing that we liked about the design is that you are able to fold parts of it away, which makes storing the camera much easier when it is not in use. 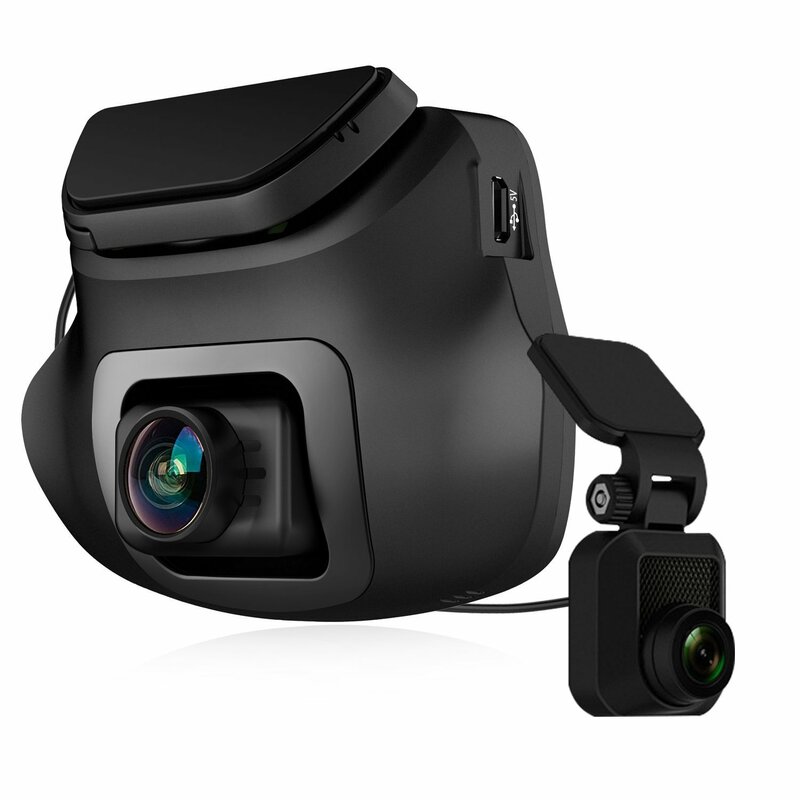 The only negative thing that we have to say about the design of this dash cam is that it is not exactly discreet due to the shape and design. It can be installed behind the rear view camera but it is definitely visible to anyone who happens to see your car on the road. This isn’t actually an issue, but if you want something discreet then this is probably not it. Installing this dash cam was a relatively pain free process. However, there is one issue that we did have. We found that the cable for the rear camera was far too long. Trailing cables aren’t exactly suitable for cars, so we found this a little frustrating. With cable ties you could probably rectify this, but it is still annoying nonetheless. Setting up the camera was an easy process and didn’t take us very long. We were pleased to find that using the camera was very easy and we didn’t run into any issues with general use. The one issue that we did have with the dash cam was the software that you are provided with. It isn’t exactly very user friendly. Other than that, using this dash cam was easy enough. This is definitely where this dash cam really stands out from the competition. We found that the recording quality, especially from the front camera is exceptional. We really expected it to struggle with some of the finer details, but the clarity from the front camera is incredible. The quality of the rear camera is equally as impressive even though it records at a lower resolution of 1080P full HD. We were very satisfied with the 150 degree wide angle lens; we were able to record at least 4 lanes which is plenty. We are also pleased to report that this camera picks up audio really well. We were very pleased with the recording quality that this camera has to offer. There are a couple of extra features that this dash cam has to offer that we were quite impressed with. First of all, we really liked the parking mode. This is ideal if you need to park on the road overnight. We tested it out and were really pleased with the results. This is a nice feature to have, even if you don’t use it on a regular basis. 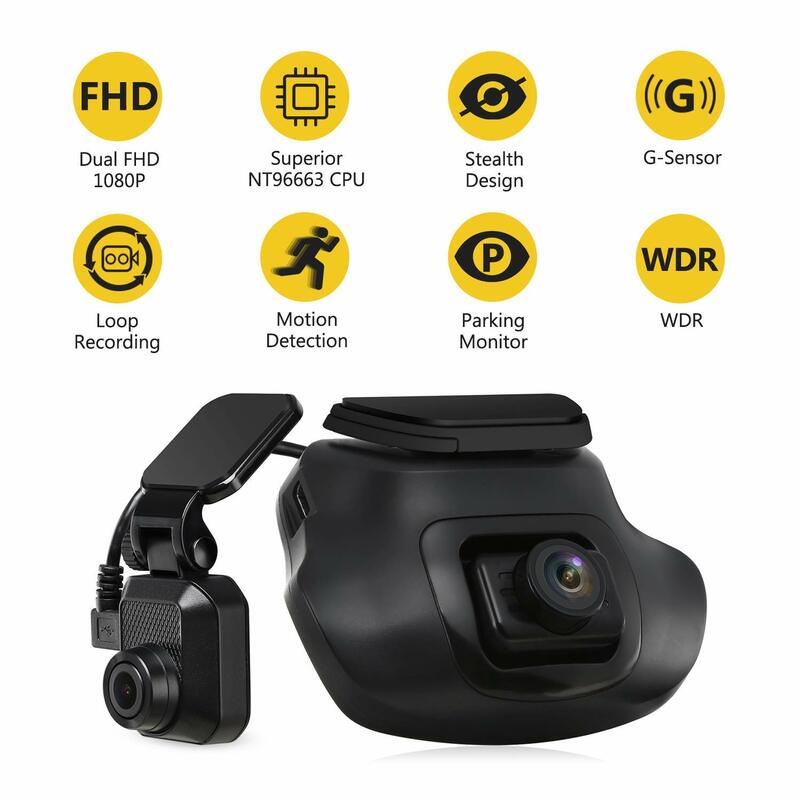 Overall, we have to say that this dash cam exceeded our expectations and would absolutely recommend it if you want incredible recording quality without having to spend a fortune.